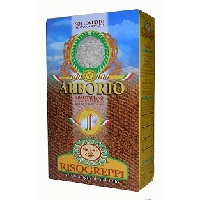 Ancient Harvest Traditional Italian Polenta, 18oz. Lotus Organic Forbidden Rice, 15oz. Lundberg Olde World Pilaf, 16oz. Vietnamese Spring Roll Rice Wrappers, 8 oz. Seeds of Change Spanish Rice, 8.5oz. Near East Chicken Rice Pilaf, 6.25 oz. Near East Garlic & Herb Rice Pilaf, 6.3 oz. 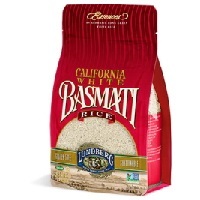 Near East Original Rice Pilaf, 6.09 oz. Near East Spanish Rice Pilaf, 6.75 oz. Lundberg Organic Jambalaya Rice Mix, 6 oz. Lundberg Butternut Squash Risotto, 5.8oz. Edward & Sons Organic Mashed Potatoes Mix, 3.5 oz. 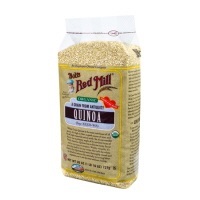 Bob's Redmill Pearled Barley, 30oz. Eden Organic Popcorn Kernels, 20oz. Tasty Bite Organic Basmati Rice Pouch, 8.8 oz. TruRoots Organic Sprouted Quinoa Trio, 8oz. TruRoots Organic Sprouted Rice Trio, 8oz.